HeidelbergCement Caucasus (HCC) and the Georgian Building Group, a subsidiary of Kavkaz Cement, have founded the Georgian Cement Association (GCA), according to a press statement. The foundation of the GCA was announced press conference in the Tbilisi Marriot Hotel. The initial purpose of the GCA is to ensure the quality of domestically-produced cement through the testing of quality of bagged cement. According to the statement, bags will be purchased anonymously on the open market and distributed to testing laboratories on a ‘blind’ basis. Testing will be conducted primarily but an independent and neutral laboratory, such as the Georgian Technical University, and confirmed by parallel testing. The Chamber of Commerce and Industry of Georgia will supervise the process to ensure its independence and neutrality. 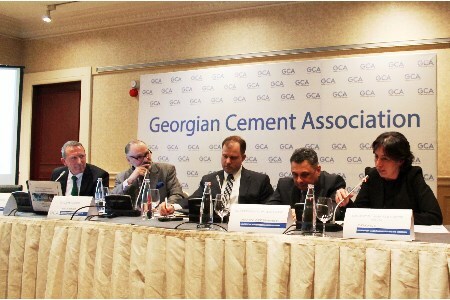 A second issue the GCA will tackle is to ensure “competitiveness and the economic viability of the building materials industry in Georgia,” with the aim of reducing the need for imports and maintaining jobs, expertise and experience within the Georgian cement sector.